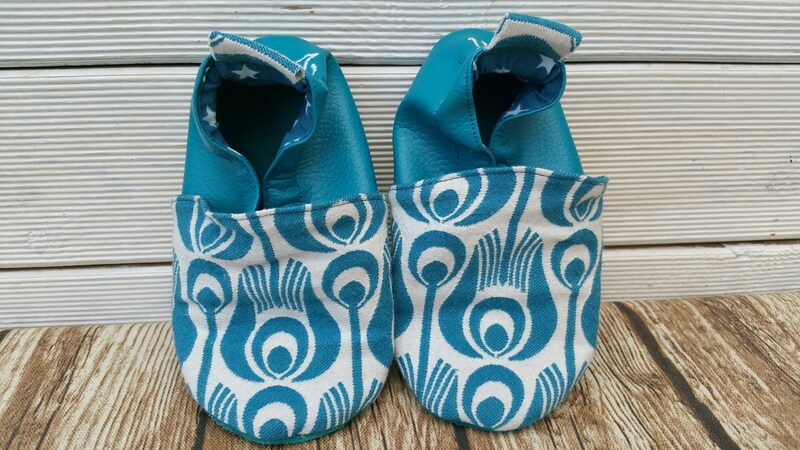 Soft booties in aqua for the front and back fabric. The sole is genuine leather. 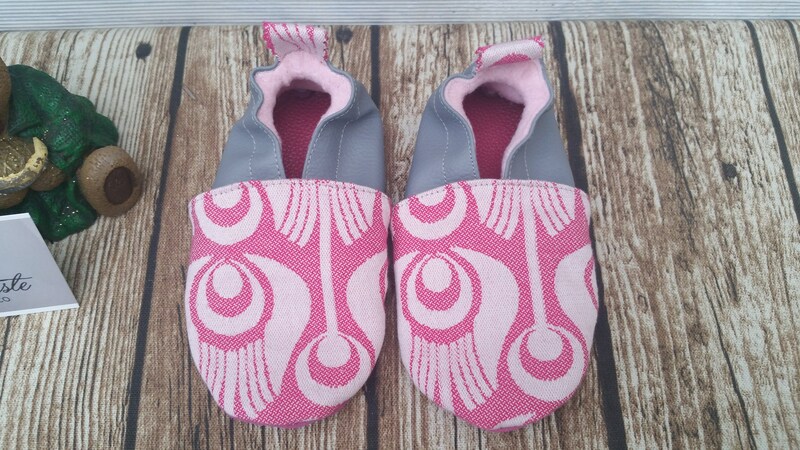 The lining is made of cotton or fleece matching. 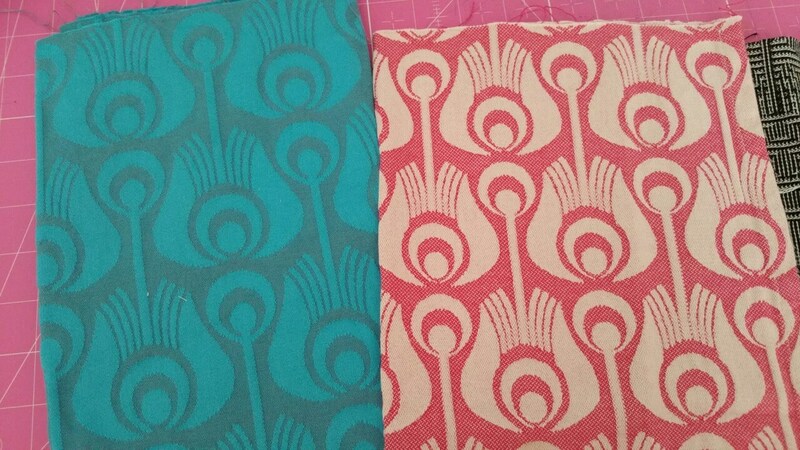 The pair shown here is made of fabric aqua on the front and on the back petrol blue or aqua on the front and light grey on the back. 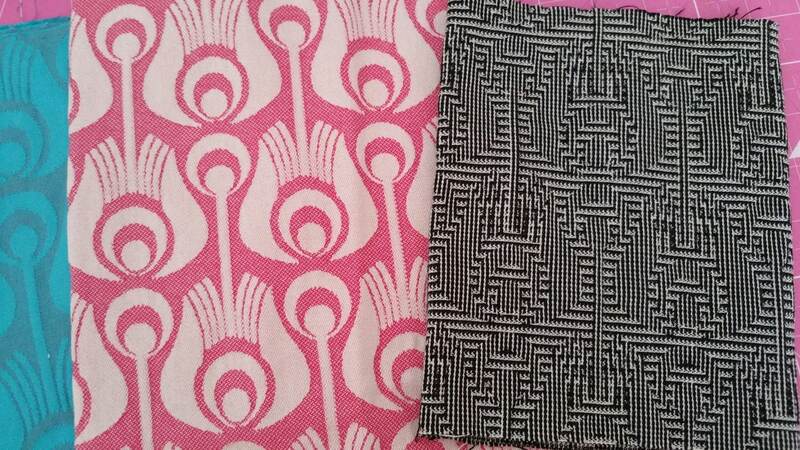 The last two photos shows two other fabrics available.